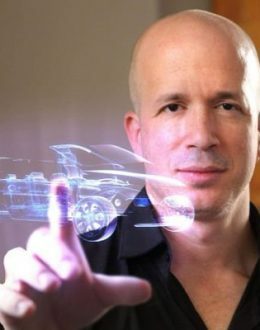 Alon Melchner is a Mixed reality (augmented reality, virtual reality) and Future Tech Expert who believes that we are at the beginning of a digital reality revolution, possibly the greatest in history, as it will affect every aspect of our lives. Melchner sees the world where all aspect of human reality will be connected digitally and all digital consumption will be intuitive as part of the real world and not limited to square screens. Melchner believes that only when everyone will contribute their part in building this new medium content there will be enough to supply the demand that will be needed in just a few years and it goes far beyond current gaming and entertainment uses. Melchner is serving as the President of WakingApp, an AR/VR content creation platform he founded in 2012 to enables non-developers to easily create interactive AR/VR content and pursues his vision of the democratization of mixed reality content. His goal is to keep inventing, creating and teaching the innovative future. Specialties: Show him what technologies you have and he will know what to do with it.